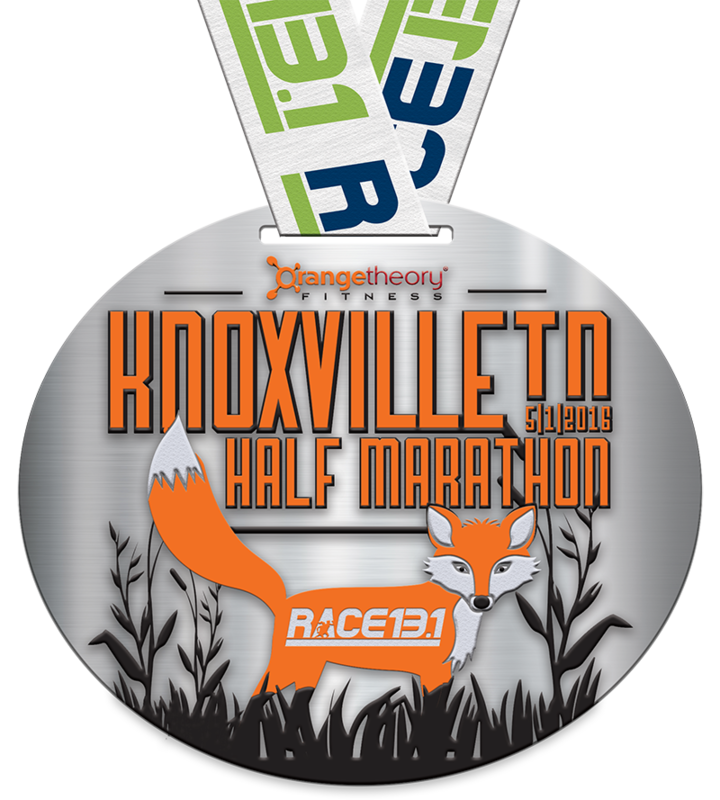 Race 13.1 returns to Knoxville, TN for its second half marathon, 10k and 5k event on May 1, 2016! Orangetheory Fitness Race 13.1 Knoxville will cross city lines as the course will start and finish at Knoxville's Pinnacle at Turkey Creek and feature Farragut's beautiful Turkey Creek and Grigsby Chapel greenways. While the Knoxville/Farragut area is full of places to see and fun things to do, several items of note include the Knoxville Zoo, the Worlds Fair Park, the Outdoor Knoxville Adventure Center, the Bijou Theater, and don't forget to make time to visit the Great Smoky Mountains National park, which is located less than an hour away. The race starts and finishes in Knoxville, TN, but the the course will also run through Farragut, TN. The race will start and finish at Pinnacle at Turkey Creek (11251 Parkside Drive, Knoxville, TN). The race is on Sunday, May 1, 2016. The official start time for the half marathon will be 7:00am, and the 10k and 5k will start at 7:15am. Each racer will receive race this tech t-shirt! We will offer both men’s and women’s size shirts. All participants will also receive access to numerous Event Deals. A link to view and claim the Event Deals will be emailed out prior to the race and can be found on the race page. If you choose to register at packet pick-up on race day, we cannot guarantee a race t-shirt. 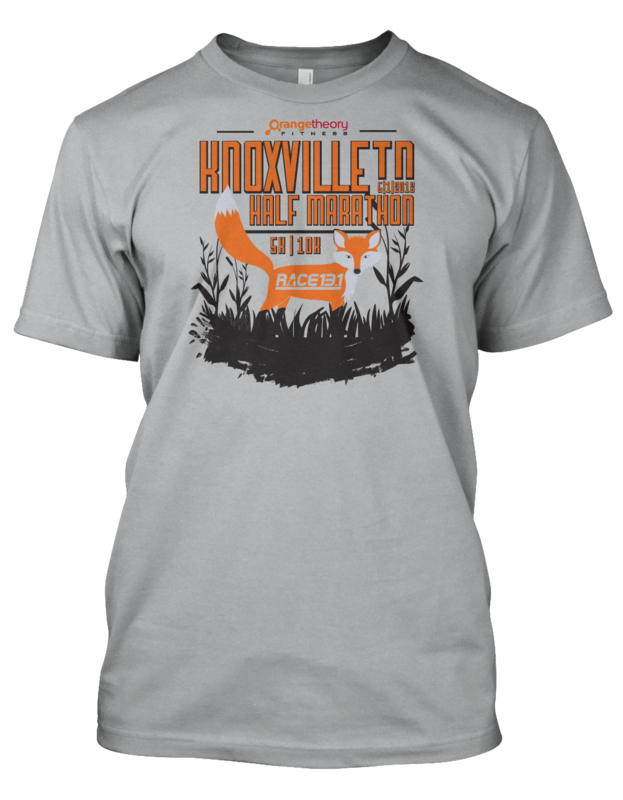 They will be available to race day registrants on a first come, first serve basis while quantities last. All half marathon finishers will receive this medal! Yes! Certification numbers will be posted closer to the race. Yes, all three distances must complete their race by 10:30am. Awards will be given to male and female overall and age group winners based on chip time. All 5k and 10k awards may be picked up at the customer service tent starting at 8:30 am, and half marathon awards can be picked up starting at 9 am. Winners must pick up their awards by 10:30 am; awards will not be mailed out. Age groups are as follows: 19 & under; 20-24; 25-29; 30-34; 35-39; 40-44; 45-49; 50-54; 55-59; 60-64; 65-69; 70+. We need volunteers to make this event happen! All volunteers will be given a t-shirt! Please click the volunteer tab above for more information. We will have two Rent-A-Johns at each aid station on the course. It is unsafe to wear headphones while running. Event organizers will not restrict headphone use and leave it up to the athlete on his/her ability to follow direction while wearing headphone devices. If you do choose to wear headphones please keep the volume level down so you are able to hear and follow the direction of course volunteers. We have a unique course where you must listen to volunteers. Yes, however, you must meet the requirements of the completing the race by 10:30am (any distance).